As I sit in my warm kitchen with fragrant candles burning and the wind stirring colorful leaves outside my window, I'm thinking of all things fall. For most of us, autumn means cooler weather, family get-togethers, and hot apple cider. For the Amish who make their living off the land, it means time to reap what they sowed. To enjoy the benefits of their labors. How fitting as we approach Thanksgiving, which originated as a celebration of a bountiful harvest, to talk about another type of harvest--that of the heart. 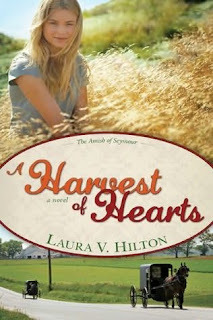 Today we meet Laura Hilton, author of the Amish Romance, A Harvest of Hearts. Laura, how did you start writing Amish fiction? It sounds like a natural progression, then! Have you visited an Amish community? Yes, I have visited Arthur, Illinois, Seymour, Missouri, and Shipshewana, Indiana. My experience depended largely on location. The Missouri Amish tend to keep more to themselves than their northern counterparts. Shipshewana is largely touristy and the Amish recognize that they are the draw. I would love to go back to Shipshewana and another community in northern Missouri that I haven't been to yet. I think in many ways, our techno-savvy, Facebook loving generation is fascinated with the Amish way of life, but I’m not sure if we really know a whole lot about it. What are a few misconceptions people tend to have regarding the Amish? They are normal people like you and I. Some (most) have cell phones. Some use electricity and computers for work. They have the normal problems that the rest of us have. They have rebellious teenagers, their kids run away from home, etc. If you were to live among the Amish for a year or two, what would you most enjoy? What would be most difficult? The hardest part would be in the summer when it is like 120 degrees in the shade and no air conditioning. I think many people like the sense of authentic community Amish fiction portrays. We all need to know we belong. Do you have a close-knit group of people you hang out with? Unfortunately, no, not at this time. About ten years ago, I had a real close family circle and we got together often. I loved it. I have five children and a large Amish table, large enough to hold a crowd of 15 - 20. And we used it! But time, age, and distance took a toll. My relatives have mostly all gone home to the Lord. My two boys are now in college and we moved far away from my two remaining aunts. But I remember those days fondly. I’m so sorry! I think many of your readers could likely relate as jobs often move family members to diverse locations, schedules increase, and loved ones pass. Perhaps this is another reason readers love Amish fiction—it allows them to enjoy community through the characters. Of all your characters, who do you believe readers will most relate to in your novel and why? Shanna is an outspoken Amish girl bent on following her dreams. And we all have our dreams we want to pursue. Oh, that's hard. Matthew and Shanna both were such fun characters to work with. Laura Hilton, her husband, Steve, and their five children make their home in Horseshoe Bend, Arkansas. She is a pastor’s wife, a stay-at-home mom and home-schools three of her children. Her two oldest children are homeschool graduates and are in college. 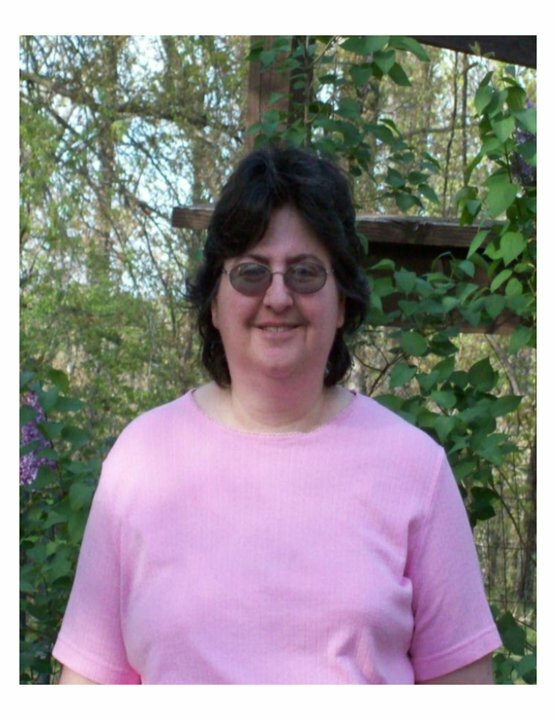 Laura is also a breast cancer survivor. Her publishing credits include Hot Chocolate and Shadows of the Past from Treble Heart Books; a devotional in a compilation from Zondervan; and the first book “Patchwork Dreams” in her Amish of Seymour series from Whitaker House released in April 2011, the second book, “A Harvest of Hearts” in September 2011, and Promised to Another in April 2012. Laura has her business degree from Ozarka and is a member of American Christian Fiction Writers. Laura is a professional book reviewer for the Christian market, with over a thousand book reviews published at various online review sites. Laura, we enjoyed chatting with you today. And readers, Laura wants to hear from you. Do you have any sweet romantic moments you could share? Because she’d love to read about them. For that matter, so would I! Remember, there’s still time to enter our book give-away drawing! Simply comment on today’s post or Facebook share or tweet the link. We’ll announce the drawing winners on Friday along with our next literary champion! How interesting to read your insights into the Amish people. Congratulations on your book and all of your writing. Love the harvest theme! Perfect time of year for that. Welcome, Laura! A sweet romantic moment? On our second anniversary, Jim came home from his night shift, woke me up to breakfast in bed, then whisked me off to a day in Luxembourg (we lived in Germany, an hour away). We visited a romantic castle on a mountaintop, ran through the rain on a path in the forest to get to it, and got thoroughly lost driving through the city. (so much fun. lol!) And he did it all on no sleep. It's one of my most special memories! Welcome, Laura! One of my favorite memories is riding in a car with a bunch of girlfriends coming back to my house. I was about sixteen at the time. From the street I noticed something sitting on my doorstep. As we got closer I saw it was a painting. I remember my heart pounding and the heat firing my cheeks as I picked it up for a closer look, my mom and my friends all around. My future husband had airbrushed a picture of a bottle of wine (no, we weren't drinkers--it was just a romantic Italian-esque image). On the bottle were the words Mein Leibe (My Love). I still have it somewhere. Sadly it did get some moisture damage several years ago. But you can bet it is still a treasured memento! I can't wait to read your book. I posted about this wonderful review on twitter@ItsTimeMamaw and on my Facebook page. Thanks for sharing your romantic moments and for having me on the blog.